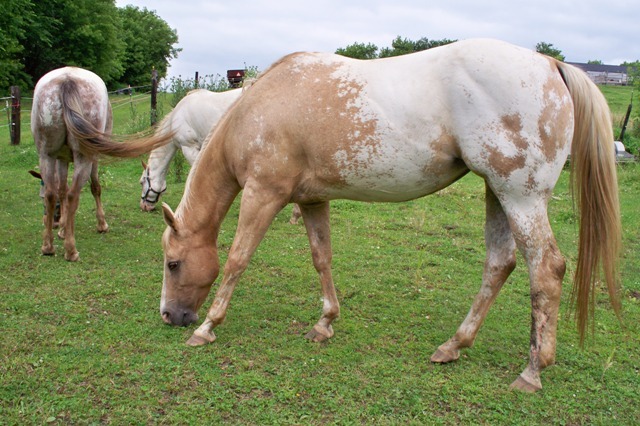 "Spirit" is a special mare, who came to us in the fall of 1995, she was going to be put down, due to her being born blind. We crossed her with our 1st stallion, "Maraschino Cherry" in 1997. 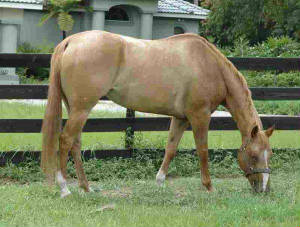 In April 1998, she gave us a beautiful Chestnut filly with blaze, blanket and prefectly normal eyes. We named this filly, "Angel" and she became my back up riding horse. Since then "Spirit" has produced 5 - 100% color babies from "Maraschino Cherry", 2 colored fillies from "Obsessed To Impress" & 1 Black filly w/blanket by Stormn Too The Topp. "Lena" came to us from a friend, in which she has been mainly a pasture pet for many a year. She comes from some great cow horse breeding; Peppy San, Doc Bar, Jim Bar Bill, Leo, Poco Bueno, Peppy Buck, Wimp P-1, etc. .
"Mighty Sandy GG" - Point earner in five events, Producer of point earners, money winners, and World Qualifiers, 2x grandaughter of Hall of Fame stallion Mighty Bright. Super bred mare with a great mind. 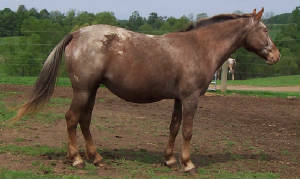 She was shown as a young mare in Halter and Futurites, before a severe laceration ended her show career. She still makes a great Trail Horse for anyone to ride. The Lady Goer produced 17 registered foals, including eight halter point earners that earned 418.5 halter points, five non-pro point earners that earned 52 points, six register of merit earners, one superior achievement winner and two bronze medallion winners. Some of her most notable foals include World champion and national high-point stallion The Syndicator; World champion broodmare Miss Auctioneer; and reserve national high-point 2-year-old mare Goer's Legacy. "Lady Serengeti" has produced 2 beautifully colored colts by AQHA stallion - "A Chance For Romance". "Lady" earned points in Hunter In Hand when shown. She is an elegant moving and looking mare. Leading sire in today's industry...siring AQHA World Champions; Reserve World Champions; Superior Performance; AQHA Champions; Quarter Horse Congress Champions & Reserve Champions; ROM Performance Offspring, Pleasure Money-Earners, and Halter & Performance Point Earners. THANK YOU - Jean Phillip for allowing us the chance to aquire a World Champion Bred mare. 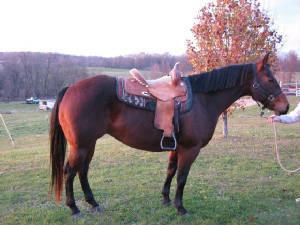 Western Pleasure folks check this mare out. "Potential Investment" stands at Steve Heckaman Quarter Horses. He is an own son of Principle Investment. Bloodlines of Hotrodders Jet Set, Tiger Leo, The Big Investment, The Invester, etc. "Zippos Shirley" is an own daughter of the great "Zippo Pine Bar". Need I say more. "Angel" is the 1st foal, born at T-n-C Appaloosas. She has been shown in Halter, Lungeline, & Speed Classes. 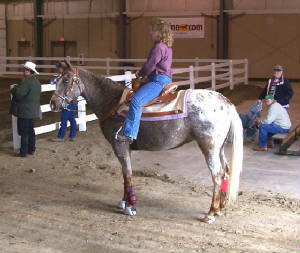 Used for all around trail, road, and parade horse, she has even, proven herself with ponying colts. 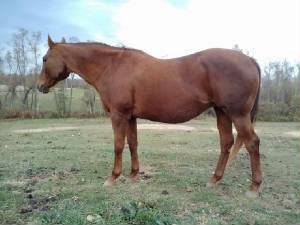 Own daughter of Zippos Old Gold - AQHA WP stallion. Lexi is a producer of an ROM, multiple futurity winner, NSBA earner of $5,000. 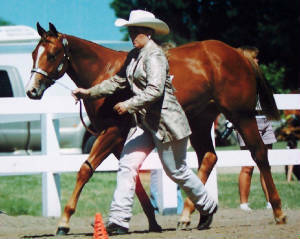 2x ApHC HALTER "WORLD QUALIFIER"
"Spice" was my own creation with using double "Prince Shannon" bloodlines. I loved her dam's mentality and big heart to please, her sire is also of the same mind. 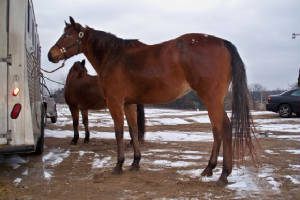 Shown in Halter as a weanling, yearling & 2 Yr. old. Winning numerous year end awards in Michigan. Qualified for the ApHC Worlds in 2007 & 2008.